Today was thanksgiving and I had no idea how thankful I would be by the end of the day! It was a gorgeous sunny day. 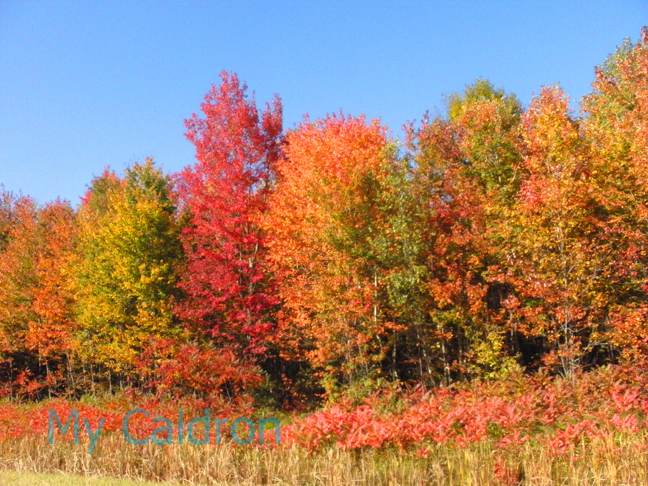 My husband and I drove to Oka Park, to the breath-taking autumn sceneries, stretched along both sides of the road almost all the way. The pictures below are much more descriptive of the natural beauties than my words could possibly be. But there was one significant incident that my camera failed to capture! On our way back trough Saint Joseph au Lac, we were stuck in traffic (which we did not mind, as we were busy watching Halloween-decorated shops and freshly picked pumpkins and cheerful clusters of people) when I noticed a sign reading “pain aux pommes”. Soon we got to a farmer couple, standing by the road and offering the passing cars apple bread: A big, fresh-out -of-the- oven loaf of apple bread for six bucks. Thank God I had enough cash on me! It smelled heavenly and tasted hot sweet apple and cinnamon, with nice golden crust and beautifully baked dough. It just smelled and tasted delicious, and I could not tell when was the last time I had had had it. Probably on another thanksgiving day, but surely not while sitting in the car and when the bread was still warm! Lots of gorgeous pictures below.